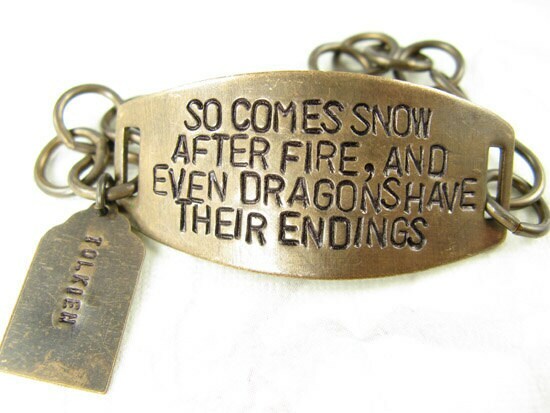 The quote is hand stamped one letter at a time by me. 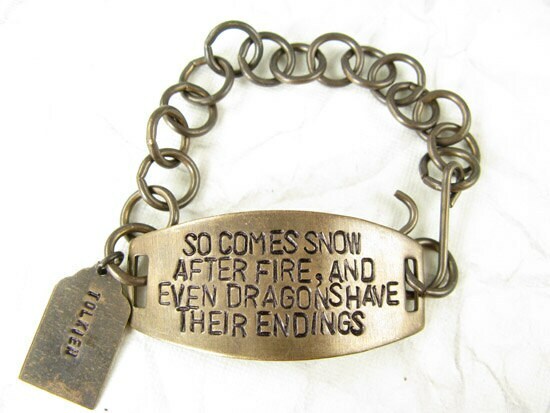 The quote is "So comes snow after fire, and even dragons have their endings"
The bracelet is all natural brass - no lead or nickel. 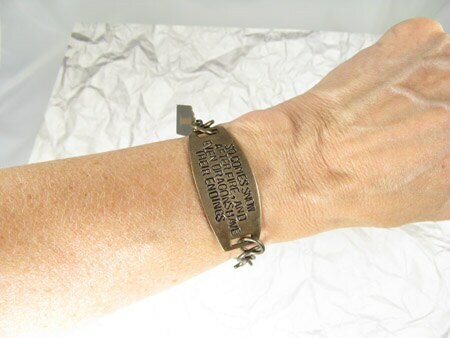 Always check my shop announcements and store policies prior to completing purchase. Thanks so much and the extra links you included came in handy!